Kaiam Corporation, a leader in advanced data center transceivers, have announced the completion of the acquisition of the manufacturing facilities of Compound Photonics (CP) in Newton Aycliffe in the UK. The acquisition includes investment by CP into Kaiam to further develop the facility. The Newton Aycliffe facility will enable Kaiam to significantly increase its manufacturing capacity for silica-on-silicon planar lightwave circuits (PLCs) and 40Gb/s and 100Gb/s transceivers, and adds both electronic and optoelectronic compound semiconductor devices to the product line. The acquisition brings new space, tooling, and an experienced team to complement and expand upon Kaiam’s existing Livingston, Scotland factory. 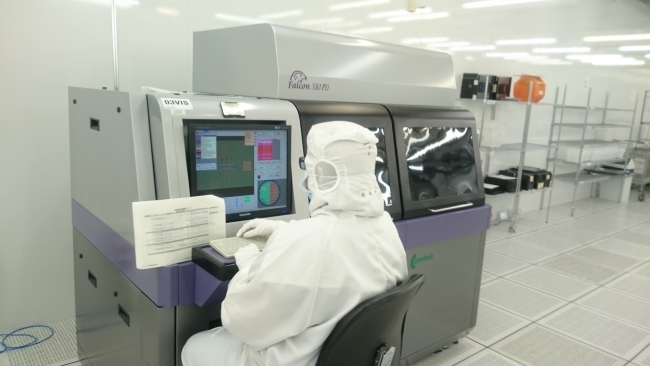 The new facility also allows Kaiam to produce InP Photonic Integrated Circuits (PICs) that will be needed for advanced transceivers in the future. This continues Kaiam’s strategy of vertical integration that began with its acquisition of Gemfire’s PLC fab in 2013. The Newton Aycliffe facility is 300,000 sq. ft. and includes a fully operational wafer fab with 100,000 sq. 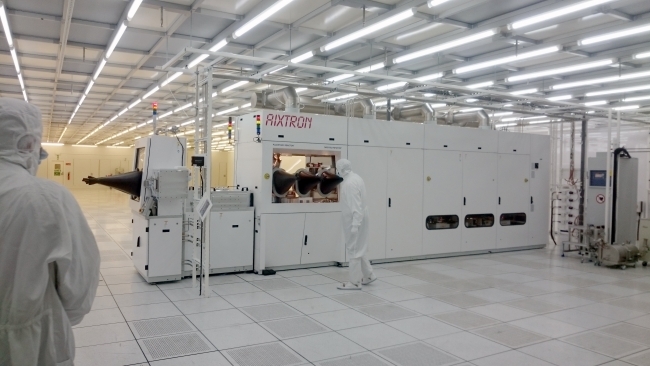 ft. of cleanroom space for processing, packaging, and testing of III-V devices. The factory currently ships GaAs devices and circuits, and has the capability for InP optoelectronics. Originally built as silicon fab for DRAMs, the plant was converted to III-V materials by subsequent acquirers and now has both 3” and 6” lines for III-V devices.